Kansas. It was featured in Roll Call and recently reviewed in Choice and Interest Groups & Advocacy. Our previous research has been mentioned in The Hill and Politico Influence, and we authored a guest post on Washington Post’s Monkey Cage. 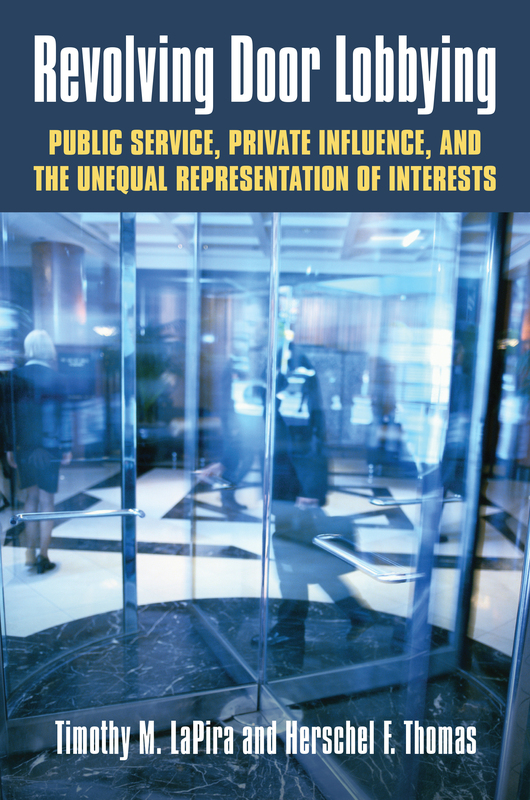 A follow-up article on the phenomenon of ‘shadow lobbying’ is recently published in Interest Groups & Advocacy and we are currently working with Kathleen Marchetti (Dickinson) on research that explores gender and lobbying, partially funded by a Carrie Chapman Catt Prize for Research on Women and Politics honorable mention award. Public health is an inherently political matter, deeply intertwined with governing institutions, political disputes, and ideas about how government should act and why. With Daniel Sledge (UTA), I co-direct the Health Politics Data Initiative, which seeks to map the politics of public health. We treat specific public health threats and diseases as units of analysis and trace elite framing, policy advocacy, public attention, and government response over time. Our project is funded by a UTA College of Liberal Arts “From Cure to Care: Advancing Human Well-being through Arts, Humanities, and Social Sciences (iC2C)” seed grant. Two current projects model disparities in the mobilization of disease-related communities into political advocacy and explore the effect of ideology and local mortality on how members of Congress define solutions to the ongoing opioid epidemic. My dissertation research examined contagion and bandwagon effects in policymaking. I argued that a process of ‘issue contagion’ explains rapid changes in the attention of policy elites as they struggle to attend to an array of pressing issues and problems. To examine the conditions under which issue contagion develops, I built a computational model of agenda-setting behavior (AgendaSim) An article in Cognitive Systems Research provides an overview of the model and sensitivity analysis to various parameters. In my dissertation, I tested the empirical implications of the model by applying it to observed patterns (e.g. the dynamics of bill introductions and lobbying activity). I previously managed the Policy Agendas Project (2011-2014) and now contribute to the project as an affiliated faculty member. The Project provides 12 datasets on the national policy agenda, which include over 260,000 observations categorized by issue area. In collaboration with UT-Austin’s LAITS, the Project has launched a new, interactive website for the Comparative Agendas Project.